You messed up. You got caught. Your loved ones are upset. The Sheriff’s Office is calling. 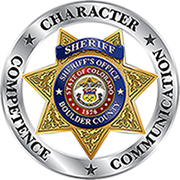 And now you’ve been referred to the Boulder County Sheriff’s Office Restorative Justice Program (BCSO RJ). What in the world is that? The bad news is that you may be facing criminal charges. The good news is that you can do something about it, and that you’ll have support. If you have been referred you to BCSO RJ for a Restorative Justice Conference, it means that you have been offered an opportunity to make the most of a tangled situation. More than that, it means that if you harmed others, you have a chance to “make right”. That is a big deal. Scores of people have been in your shoes, chosen to step up and take responsibility, repair the harm, and learn something in the process. You can do it, too. So read on about what to expect in the coming days and weeks. What We Do – But Does it Work?